When you replace your car battery, you may need to enter your Honda radio codes to activate your radio. This might even be required for a simple disconnection or complete draining of your battery. Usually, you can activate your radio battery by hold pressing the power button for about 2 seconds. However, this method will not always work. If your radio does not reset, you will need to enter your Honda radio codes. How will you find your radio security code? Finding your Honda radio codes can help you activate the radio in the event that your battery becomes disconnected. This is because of Honda’s leading theft-protection technology, which prevents your radio from functioning without these codes. The easiest way to retrieve these codes is to look in your glove box for the owner’s manual, where a set of activation codes is provided. It is usually just a sticker, attached inside of your glove compartment or manual. Aside from the codes, the sticker will also contain your vehicle identification number, which is mentioned below. You can also visit Honda’s online store to retrieve your activation codes. You will require your zip code, email address and other contact details, as well as your vehicle identification number. While this is usually found in the driver door, on your registration documents, and on your car windshield, it can be problematic to find for models that have undergone some repair. 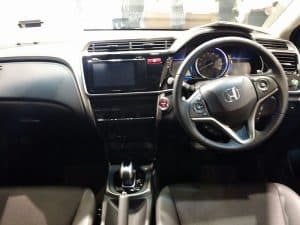 If you are unable to find or enter your Honda radio codes, you should consider seeking professional services for safe and secure reinstallation and activation of your radio. Entering your Honda radio codes is pretty straightforward. You will need to go through the same process as finding your serial number with minor adjustments to enter your code. Remember to keep your engine off before turning your ignition key to the accessory position. When the radio displays ‘Code’ or ‘Enter code’ – you should use the 1 and 6 radio preset dials to enter your code. Your radio should now be activated and fully functional. You should consider hiring professional service providers if you do not feel comfortable with any part of this process as you could have trouble activating your radio. Where are the VIN and serial number located? Vehicle identification numbers, as well as the serial number of your device, are a crucial resource when finding your Honda radio codes. These 17-digit figures will usually have a similar profile to others under the same brands. Honda’s set of VIN codes are composed of an alphanumeric scale, without the letters ‘I’ ‘O’ and ‘Q’, which may cause some confusion. You will use this 17 digit code to find your radio codes, through Honda’s website. Your insurance card will have your detailed vehicle information, including your VIN number. The code may also be accessed on your windshield, as well as your glove compartment. It is usually a hardy sticker with some numbers on it in either f these locations. If you have trouble finding it in your car, you could consider looking through your financial information such as your services statement and new owner surveys to help you find it. The process of identifying your device’s serial number will vary depending on your vehicle’s make. In most cases, it is usually located on an anti-theft sticker on a part of your car, such as the glove box. However, it will not always be easily and readily available. 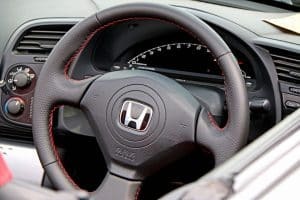 You will need to follow these steps for your Honda vehicle, with the Honda Odyssey 2013 and 2014 models being exempt because they do not require a security code. You should turn on your vehicle and the device, making sure it displays a ‘Code’ message. Turn the device off and hold press the 1 and 6 radio preset buttons. It will display an alphanumeric code starting with U, followed by 4 digits. The next screen will display a second alphanumeric code. You should ignore the letters in your serial number and write down your serial number for use when retrieving your Honda radio code. You can find a serial number or your 2002 models and newer without having to completely remove your radio, which can be difficult to replace. You should press the radio’s power button, which will cause a blank display. Make sure your engine is off and turn your ignition key to the accessory position. You should then press your 1 and 6 display buttons on your radio while pressing the power button. 10 digits will appear on your display, which you should write down. The number part of your code, amounting to eight characters, will be your serial number. Models older than 2002 will not display a serial number and may be difficult to restore radio functionality. You will need to remove your radio completely to get your serial number. However, getting it back in could be problematic. While you can still reset your Honda radio for models older than 2002, you should consider professional servicing. You can find your Honda radio codes through the vehicle manufacturer’s website. With your VIN and serial number, you will be able to access the codes from the website. However, Honda will require you t provide detailed contact information so as to provide the code securely. If your vehicle is a 2001 model or older, you will need to remove your radio to access the serial number. As this can be difficult, we recommend you visit your nearest certified dealership and service provider to avoid potentially damaging your vehicle. You will not be able to use your Honda radio without activating it after your battery has been disconnected. This anti-theft service can be great for you, but it may also cause an inconvenience if it regularly needs to be reactivated. This code is specific to your vehicle. However, it can be difficult to find. You should visit Honda’s website to find out how to reactivate your Honda radio and receive your vehicle’s unique radio codes.